Leaders have an arsenal of tools to throw at employees, markets, investors and other stakeholders. Which one should you choose? Which one pushes the organizations forward? Which one is self-propelling? Fear? Excitement? 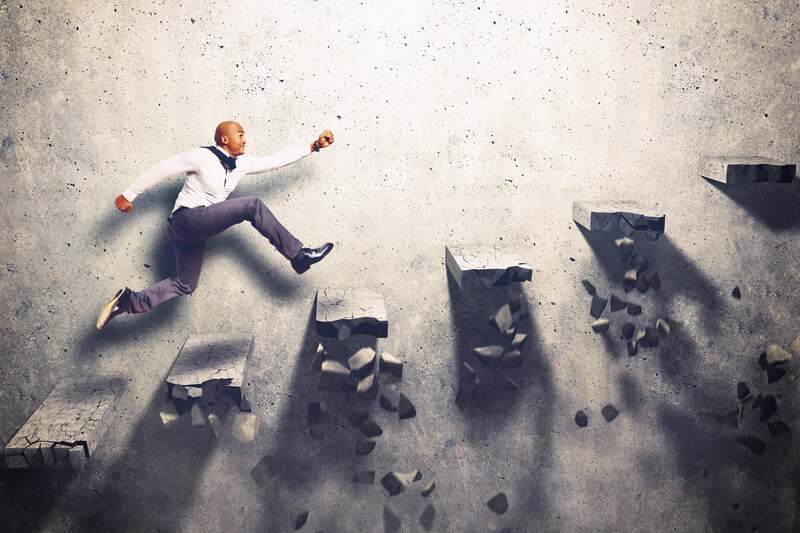 A study of leaders in high technology startups and established firms found that the traits of hope, optimism, and resiliency had a direct impact on transformational leadership, which directly impacted firm performance. A study of employees found that these three characteristics positively affected satisfaction and work happiness, but only hope and resilience impacted organizational commitment. So the question then arises: are these traits transferable from a leader to an employee? A 30-year review of studies indicated that the answer is yes, but one can also watch movies like Enron: The Smartest Guys in the Room or The Wolf of Wall Street to know that leaders can also quickly create a negative culture that leads to spectacular downfalls. The Hope Theory, which was tested in the early 1990s, finds that hope can play a dual role– working positively before the appearance of a problem, as well as after a problem has appeared. Hope impacts “pathways thinking,” the process that signals a person’s capabilities and will to find a route that will lead you to the goal. Simply said, it’s the faith that you can achieve your goal. And this can be reinforced by positive affirmation. Hopeful thinking leads to better divergent thinking (thinking out of the box, with higher quality ideas and more details). And we know startups need to be creative in finding solutions with low investment costs. Hope is what Fadi Ghandour has in the youth of the Arab world and he shows this with his investments and projects in startups that disrupt markets. This has a multiplier effect attracting more investors and raising the confidence in the youth to be more entrepreneurial. Hope also seems to be a winner for leaders. A pity more leaders don't use this trait. Keep in mind the premise of Obama’s 2008 campaign was “Hope” and “Change,” which was then followed by the 2012 campaign “Forward.” I can’t even remember this year’s election candidates’ promises– but I do know it involves lots of doom and gloom and mud slinging. Next, take the leadership tool of optimism. As a leader, you can use strategic optimism, which is setting high expectations, feeling calm, and avoiding reflecting. Though research shows hope trumps optimism for performance, both are needed for satisfaction, which we know is critical for employee retention. Keep in mind that optimism should not be confused with the entrepreneurial tendency to expect positive results, even when such expectations are not justified rationally. Optimism is Elon Musk selling most of his stock to invest in his belief that Tesla and SpaceX had a role to play in the future. It is like his gamble to take a decision to buy Solar City when profits are still eluding him. Founded in 2011, Gaza Sky Geeks is the first accelerator in Gaza, and since their inception, they have just launched 16 startups. It is one of the most difficult markets to work in, and their optimism for change is heartwarming. They have a wall of dreams where entrepreneurs post messages to the question “What would you do if you were not afraid?” Optimism is the ability to think beyond a war they have little control over. Recently, Gaza Sky Greeks co-launched a campaign with some 40 other companies targeted at PayPal to also allow transactions in Palestine, as PayPal works in the Israeli settlements of West Bank. This is trending on Twitter as #PayPal4Palestine. Optimism is the belief that despite the odds, you can make a difference. This brings me to the last factor, resiliency, which lies lower than hope and optimism in terms of importance, but it is still a critical factor. What is resiliency? It is the capacity for response to fast and possibly disruptive changes by resisting, absorbing, responding, even reinventing if required, to reduce the negative effects of that change. This is a trait that is valued in complex organizations like the military. As a leader and a founder of a startup, change is your constant companion and employees by nature will not like their routines, roles and targets to constantly evolve. H.H. Sheikh Mohammed bin Rashid Al Maktoum said in his book, Flashes of Thought, “An easy life does not make men, nor does it build nations. Challenges make men, and it is these men who build nations.” Every entrepreneur is a nation builder and has the capacity to create an organization with revenues and employees larger than GDPs and populations of countries. How disruptive is that? Resiliency is an everyday attitude. It does not always mean the challenges come from the external environment. Often the blow will come from within– a co-founder leaves, a key employee walks away with an account to a competitor or worse becomes one, an investor backs out on his/her promise, a product can’t live to its expectation, and a customer doesn't pay. It could also be personal– for instance, your family, friends and health. Failure of ideas, projects and goals is a part of any startup history or a quintessential part of an entrepreneur’s journey; hence, the quality of resilience is much needed. The question is how do you embed it in an organization? The answer is surprisingly simple: storytelling, which is essentially finding time in your culture to share challenging situations (organizational and personal) that allow you to create a healthy culture of moving forward with openness. This has many positive effects. First, narrations are psychologically comforting (like therapy) and will help you vent and get things off your mind so you can put the events behind, focus on key issues that need to occupy you time. Second, by relating stories, you can also look for learning moments and this will help in future strategy– there is something to be said about stories with a moral at the end. Third, they help others in similar situations as they can relate to your “story.” Fourth, they help others relate with you– you become more accessible (human), and this allows them to bond with you. For a small company, this maybe a vital part of creating a culture, but be sure what kind of culture you want to create and hence what kind of stories you want to share. Of all the stories I have heard, I love this one the best. Ala’a Al Sallal loved to read and spent many hours in the school library and later browsing on the internet. His first business idea was to crowdsource the translation of Harry Potter into Arabic, which quickly reached one million free downloads, but that venture quickly dissolved when J. K. Rowling’s publisher’s lawyers contacted him with a 30-page letter. During one of the most difficult times in his life, soon after his father died, Alaa left a multinational job to come home and then found an opportunity to present a business plan to Fadi Ghandour for an online Arabic bookstore. Fadi asked him to rework the idea, which he did. In his head, he wanted to be the Amazon of the region. His vision is to “break the barriers of knowledge sharing between individuals and create platforms that facilitate knowledge sharing”. He never gave up– first working with a tiny budget and utilizing his family (six siblings and his mother) for human resources in 2010, and slowly building a working model till he managed to get his first investment from Fadi Ghandour, three months later. He has now raised money from Oasis 500, 500Startups and Wamda Capital. Beginning with just 12 titles on his enterprise, he now offers more than 10 million titles. If you have read his story, then you know that he has faced every problem, be it about scaling up, shipping, regulation, payment and customs, with a smile. Ala’a grew up in Amman, Jordan in a Palestinian community of refugees, and is a graduate of Ruwwad, a foundation focusing on dis-enfranchised communities. He offers hope and optimism for the children in those areas- the hope that one day they can create their own business ventures. If Ala’a can, so can they. So go ahead– use these tools to disrupt the market and create an organization that others long to emulate. Be the change-maker.